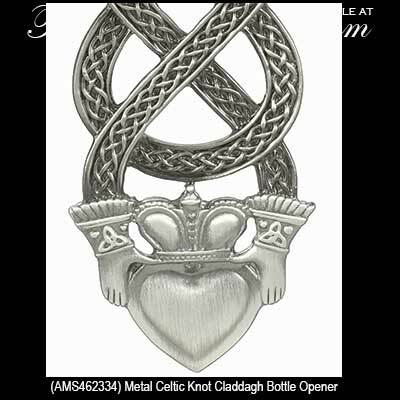 Irish bottle openers include hand-held and wall mounted styles and feature designs with the Claddagh and Celtic knots along with Guinness branding and even a leprechaun. Several of the bottle openers, at The Irish Gift House, feature Celtic knots and one even has a leprechaun but possibly our most impressive design is the Guinness cap catcher that will complement any of our wall mounted Irish bottle openers. 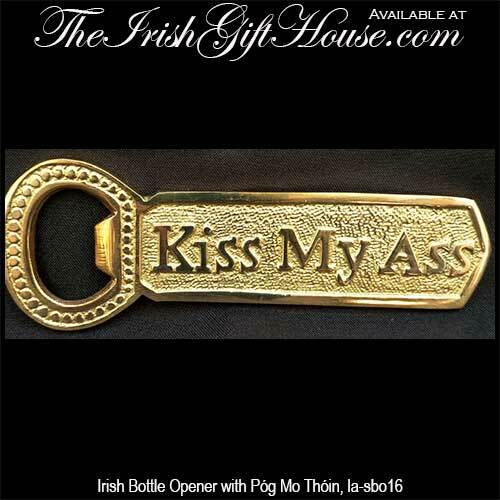 Irish bottle opener features a metal leprechaun with a shamrock on his top hat. 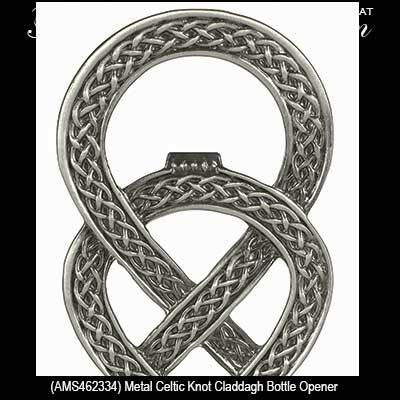 Add to the enjoyment of the bottle openers by accessorizing with our Celtic coasters or maybe several Irish fridge magnets. You may even wish to include an Irish salt and pepper set or an Irish wine cork for additional entertainment value. If you are feeling a bit zany, use one of our Irish wine bottle covers. They are loads of fun and your guests are sure to get a laugh.